The based premise of this franchise is: If a person wakes a djinn, that person will receive three wishes but the third wish will free legions of djinn on Earth. Each of the four films interchange a variety of female leads and change-up the plot ever so slightly. Of them, A.J. Cook is probably the most well known for her work on Criminal Minds. The first of the quadrilogy is, without question, the best. It has, what appears to be at least, respectable budget, Wes Craven’s name as an executive producer and his pals make token appearances from Robert Englund as a philanthropist who collects ancient artifacts, one of which contained the gem that housed the djinn; to Kane Hodder as a security guard and Tony Todd portraying a bouncer, the latter two more cameos and fodder for slaughter. Although I did like Tammy Lauren as the lead actress, and she manages to do fine, the highlight is easily Andrew Divoff who carries the movie on his shoulders with a hammy but incredibly fun performance knowing all too well just the kind of movie he’s in. And with a decent budget, the effects work by Robert Kurtzman (who also directed), Greg Nicotero and Howard Berger between the djinn monster and a finale that involves statues coming to life to kill our lead. The sequel, from the very beginning, was clearly a step down in production value with some lousy visual effects, even by 1999 standards, but at least Andrew Divoff and his campy performance was back to make it a watchable romp while lead actress Holly Fields was serviceable and cute, but she is a step down from Tammy Lauren in terms of on-screen charisma. Taking over the directing duties is Jack Sholder (who also scripted) and I suppose given the budget, he didn’t do a terrible job, though being responsible for the screenplay, he can’t go blameless for a pretty thin plot. Prior to Wishmaster 2, Sholder also helmed A Nightmare on Elm Street 2, so another connection to Wes Craven who did not return as executive producer but presumably recommended Sholder for the post. And this is where the series takes a downturn. 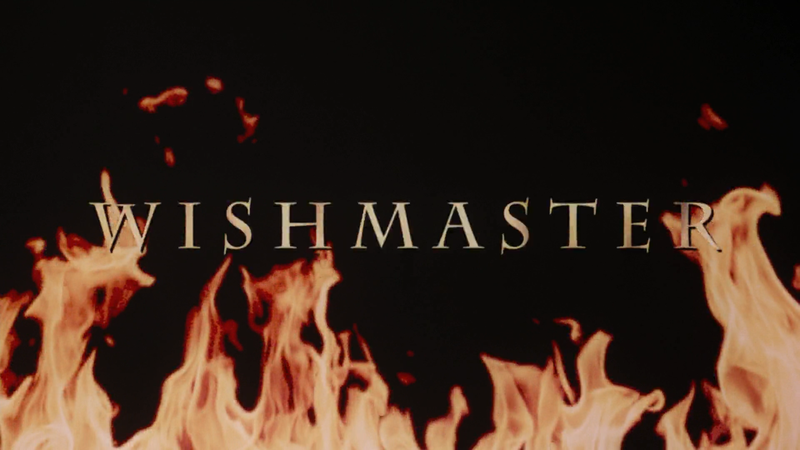 Under the direction of Chris Angel, whose career mostly consists of editing a variety of TV movies, Wishmaster 3 apparently took a big hit to the budget and brought on a screenwriter who took inspiration of the rash of crappy teen slasher flicks. John Novak takes over the role of the Djinn and not unlike Robert John Burke in RoboCop 3, Andrew Divoff’s cheesiness was sorely missing. Also, A.J. Cook is the latest to tackle the female lead and while it’s not even close she’s had the more successful career post, she probably was one of the weaker characters of the four films. From what I’ve read, the fourth and thankfully final film of this uninspiring franchise was apparently filmed not too long after the third and although it’s certainly not very good, and John Novak’s Djinn still is anything but scary or funny, admittedly this one at least attempted at some cheesy humor courtesy of Michael Trucco (a well known actor on a variety of TV shows like Battlestar Galactica) as a lawyer whom the Djinn kills and takes form in; Trucco utters some lame puns and campy lines but I did manage to chuckle as the humor was done on purpose. Our female lead this go around was Tara Spencer-Nairn and she’s alright considering her character was supposed to be in love with an absolute tool and all around a-hole. This 3-disc collection — Wishmaster 1 & 2 come on their own discs while 3 & 4 are on the third disc — and is housed in a standard Blu-ray case and with a glossy slip cover, matching the previous “Vestron Video Collector Series” releases. Out of the Bottle (21:55; HD) – This is a new featurette with Director Robert Kurtzman and Co-Producer David Tripet, in separate interviews, discuss the process of getting the film made, casting (Dina Meyer was up for the lead role) and getting Wes Craven to provide “weight” to the project. Included are some behind-the-scenes footage. The Magic Words (13:55; HD) is a new interview with Screenwriter Peter Atkins as he talks about how he got the gig of writing the screenplay. The Djinn and Alexandra (25:57; HD) – Actors Andrew Divoff and Tammy Lauren talk discuss how they became involved in the movie. Making of Wishmaster 3 (5:51) is a vintage featurette with some behind-the-scenes footage and on-set comments by the cast and crew. The four Wishmaster movies are summoned onto Blu-ray each presented in their original widescreen aspect ratio (#1 in 1.78 and 2-4 in 1.85) and 1080p high-definition transfers. The quality of these are fairly consistent with the first probably looking the better of the four with sharp detail throughout though I did notice some minor specs. The sequels also include fine detail and nice looking colors, however with The Prophecy Fulfilled the colors appeared bleached out in spots; I doubt it’s a problem with the transfer but instead the cheap production budget. 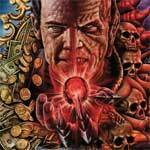 Wishmaster — ***¾, Wishmaster 2 — ***½, Wishmaster 3 — ***¼, Wishmaster 4 — ***. 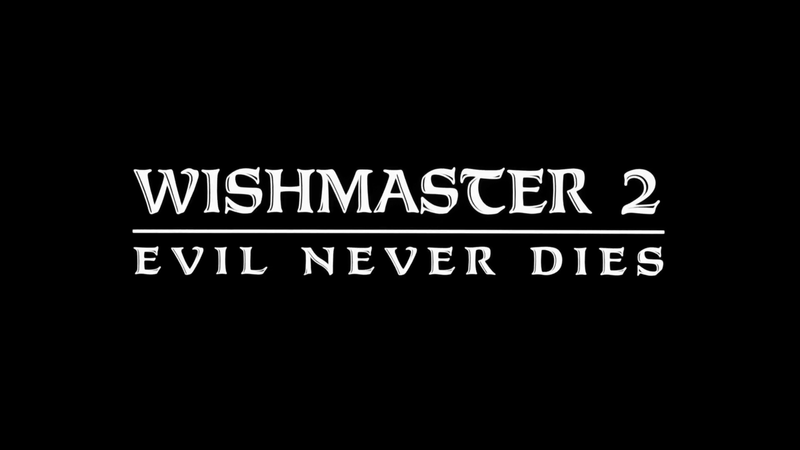 The first Wishmaster movie comes with a DTS-HD Master Audio 2.0 track (the back cover mistakenly says it’s 5.1) as does Wishmaster 3 and in both cases, they sound perfectly fine providing for clear dialogue and when the action picks up, there is a moderate amount of depth in display. 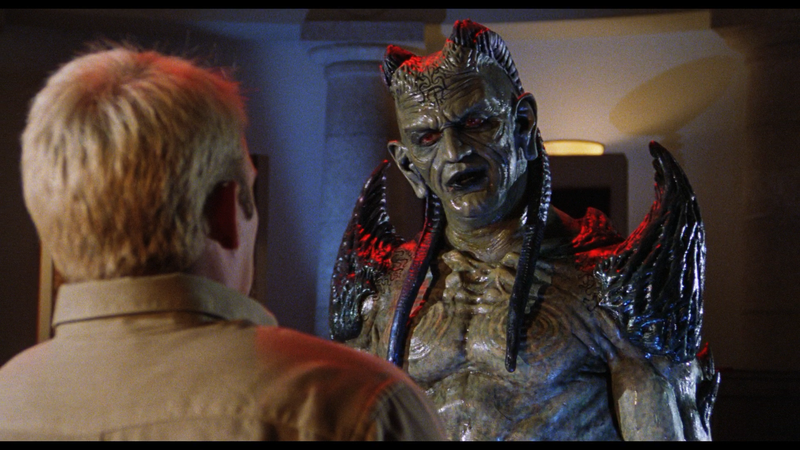 Wishmaster 2 has a 5.0 track and it’s a tad more dynamic compared to the others but nothing outstanding; and Wishmaster 4 is the only movie with the full 5.1 channels and it’s adequate nothing more. 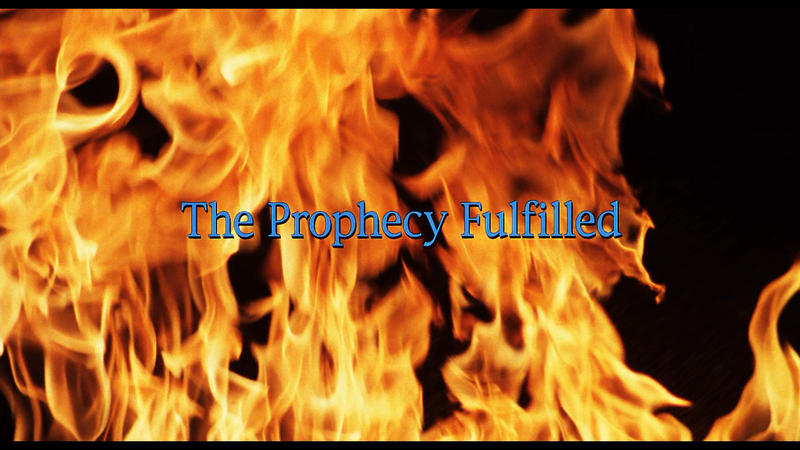 Considering the low budget, and that it was originally released on DVD, this one sounds okay but I really didn’t notice the LFE channel kicking in very much, perhaps slightly during the insipid finale. 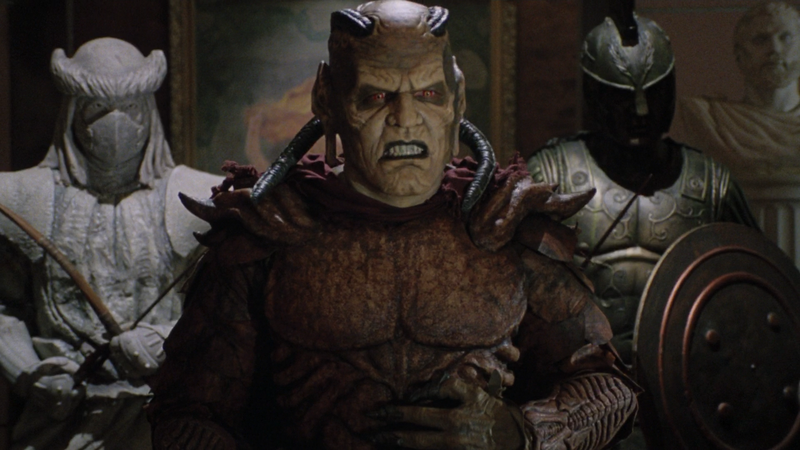 Wishmaster — ***½, Wishmaster 2 — ***½, Wishmaster 3 — ***¼, Wishmaster 4 — ***¼. 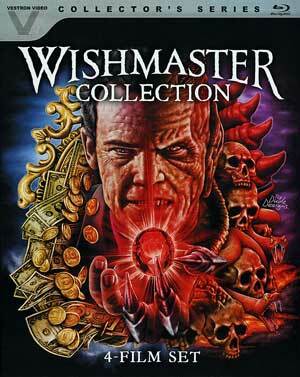 Overall, although 3 out of the 4 movies in these are, well, utter crap, this Wishmaster Collection is a well done addition to the Vestron Collector’s Series and includes some excellent new bonus material for the first film as well as 6 commentaries while the video/audio transfers aren’t anything spectacular but probably looks and sounds as good as possible.